Braces are special orthodontic devices that are regularly used. Whenever a patient has any kind of malocclusion, he needs an orthodontic treatment that in most cases involves braces. They can be used to correct crooked teeth, missing teeth, overbite, underbite, incorrect positions of the jaws and more. There are several different types of braces including metal braces, ceramic, lingual, self-ligating, and removable aligners. What type of brace the patient will wear depends on the individual case and the cost. braces can be divided into several groups including the traditional metal braces, ceramic, Invisalign, lingual, aligners, and self-litigating. The metal type is the most commonly used one. They are placed on the vestibular surfaces of teeth and include small metal brackets, that are connected with an archwire and ligatures. They are the ones that produce the force that moves the teeth in the wanted position. The ceramic type is very similar to the metal one, with the only difference that they are made from ceramics and provide a better esthetic moment. They are less visible, so that is why a lot of patients decide to get them. 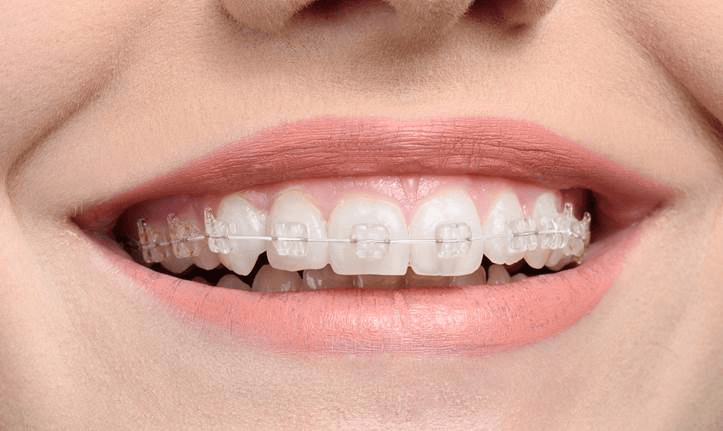 The lingual braces can be both metal or ceramic and are placed on the lingual surfaces. They are meant for patients who don’t want to have visible braces and are a more cosmetic alternative. This is a technique that is new compared to the vestibular one but still provides great results. The removable aligners are a part of the post-fixed braces treatment. They are prescribed to patients who already finished their treatment with fixed orthodontic appliances, but still, have to wear aligners. They usually wear them during the night and take them off in the morning. Invisalign is a fairly new type of orthodontic treatment and the most expensive one for now. These are special retainers that are specifically made for the patient. It is also the most esthetic system for orthodontic malocclusions. The patient gets a set of trays that include several different retainers. The dentist will give them specific instructions, on which retainer they should start wearing and for how long. After a certain time, they will have to change it with a new one. Braces are used for orthodontic purposes. We are talking about all types of malocclusions, starting from overbite, underbite, crooked teeth, misaligned middle lines, crossbite, crowding, spacing and more. the length and the cost of the treatment depend on the case of the patients. Sometimes the treatment can last for only one year, while other patients have to wear braces for at least two. The metal ones are usually the cheapest option, but they get great results. If you prefer a type of braces that people will not be able to see, then you should definitely get Invisalign. Another good thing is that the patients can do everything and lead a normal life while they have fixed braces on. They can talk, eat, chew and drink with their appliances. The treatment is not painful, except for the first few days when patients need to get used to the braces. Another important thing to know is that patients have to take really good care of their teeth and provide perfect oral hygiene.